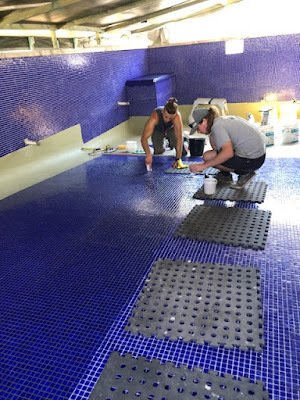 We are excited to share the progress of this fully tiled pool in Bulimba, QLD, by Cascade Pools and Sam Gardener Tiling. The project is moving forward, it's now time for grouting! 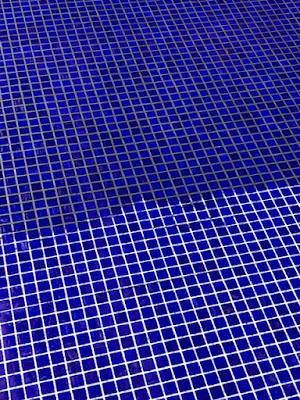 The project features approximately 80m2 "Christle Blue" glass mosaic tiles supplied by The Pool Tile Company and installed with a range of LATICRETE materials to qualify for a 15 year Pool System Warranty. 254 Platinum is the ultimate one-step, polymer fortified, thin-set adhesive. For interior and exterior installation of ceramic and stone tile, reduced thickness porcelain, quarry tile, pavers and thin brick. LATAPOXY® Moisture Shield is a 2 component, roller applied epoxy coating specifically designed to reduce moisture vapour emissions in concrete and other substrates. HYDRO BAN® is a single component, self-curing liquid polymer that forms a flexible, seamless waterproofing membrane that bonds directly to a wide variety of substrates. 226 Thick Bed Mortar was designed for use with 3701 Mortar Admix to produce a latex Portland cement mortar that has exceptional strength. 3701 Mortar Admix is a specially designed latex admixture for use with thin-set adhesives, cement grouts, cement mortar beds and other cement mixes. 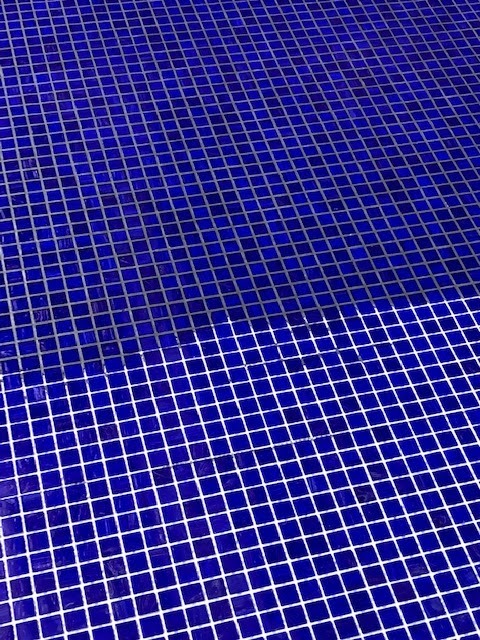 SPECTRALOCK® PRO Premium Grout* provides colour uniformity, durability and ease of installation. 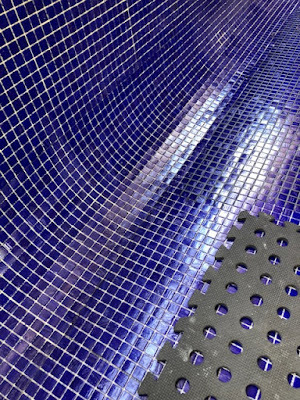 Designed for use on tile, glass tile and stone applications, both residential and commercial. Keep an eye on this project!